After the excitement of last weekend's royal wedding, the British royals attended a calmer annual engagement: the Press Day preview of the Chelsea Flower Show. Unsurprisingly, we had a few floral jewels on display. 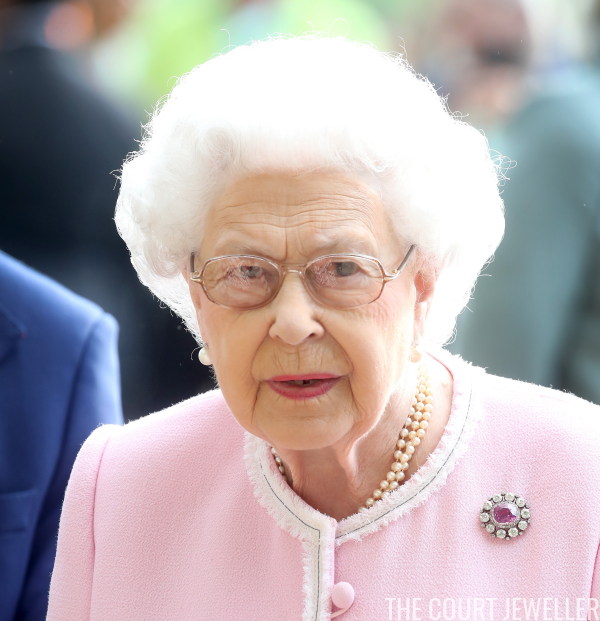 One big surprise on the day came from the Queen: she wore Queen Mary's Pink Sapphire Cluster Brooch rather than the Chelsea Iris Brooch. She's chosen the latter for five years running; it was a gift to her from the organizers of the show. Here's a link to our write-up on last year's show, including the iris brooch. 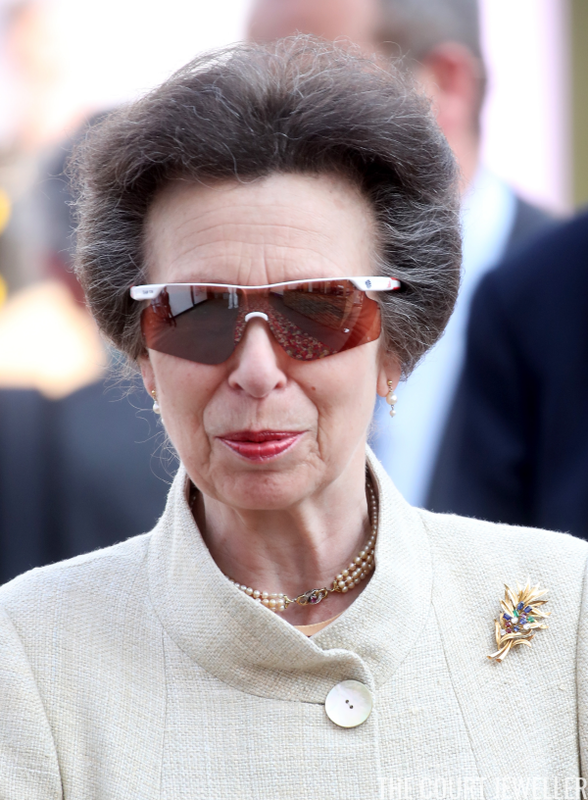 Princess Anne, however, went floral with her brooch choice: a golden brooch set with blue gems. 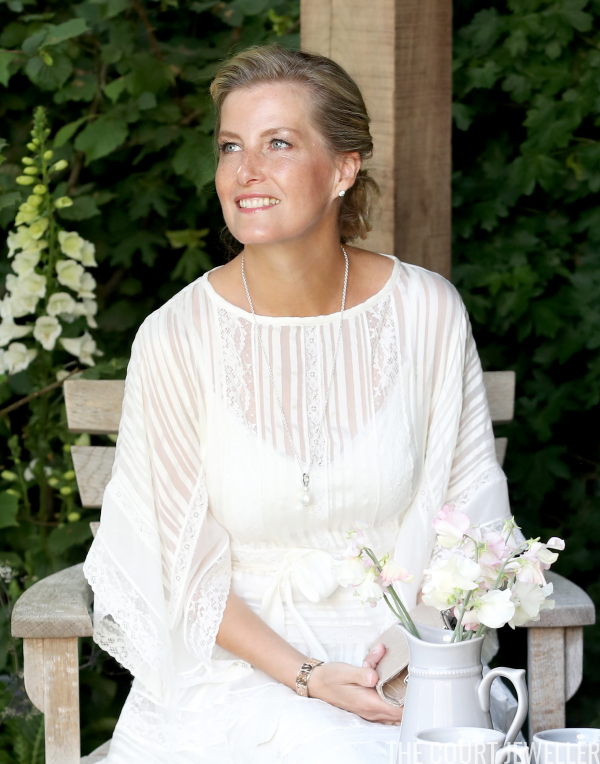 She paired it with pearl earrings and the same seed pearl necklace that she wore for Saturday's wedding. The Countess of Wessex looked absolutely gorgeous in pearl, diamond, and gold jewels for the press preview. I'm especially intrigued by the engraved gold brooch on her right wrist. This angle shows her long necklace, which features a pear-shaped pearl pendant, in clearer detail. Princess Beatrice stacked bracelets, including her usual delicate gold bracelets and a large bangle, for her appearance at the show. 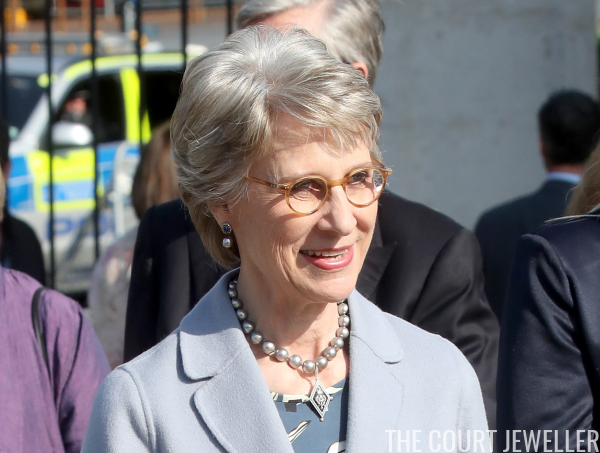 The always-elegant Duchess of Gloucester wore her silvery pearls with an intricate diamond pendant, plus pearl drop earrings with gem-set studs. 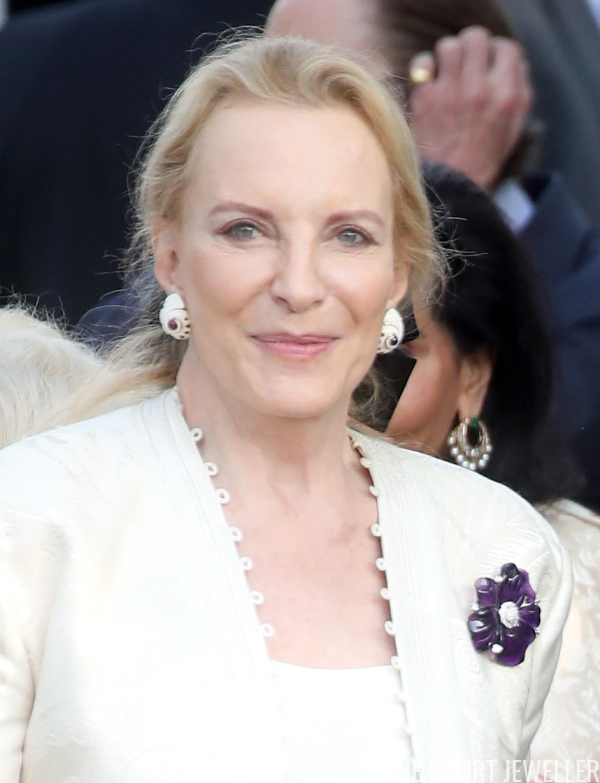 Princess Michael of Kent wore shell-shaped earrings with her large purple floral brooch. 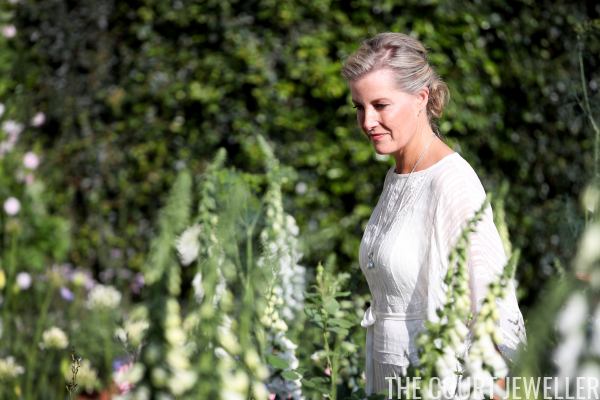 This one has a European counterpart: Queen Maxima of the Netherlands wears a floral brooch with a similar design.